Mesfin Negash’s passion for what he describes as “critical and analytic” journalism was inspired by his studies in political science, his love of literature and the influence of his reporter friends. This passion led him to start his own print newspaper, Addis Neger [New Thing], with five colleagues and write about Ethiopia’s political climate in the capital Addis Ababa. Yet as he learned, journalism in Ethiopia is an occupation that holds dire consequences for those who cross the government’s invisible red line. The country has been ruled by the Ethiopian People’s Revolutionary Democratic Front (EPRDF), which took power in 1991 following a civil war. 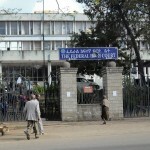 In 2009 Negash and his colleagues received a tip from a reliable source in the government that authorities were putting together a case to charge the founders of Addis Neger with aiding terrorism — all because the paper covered meetings held by the political opposition in advance of the country’s 2010 elections. Negash and his colleagues had little choice but to drop everything, shut down their paper of 30,000 readers and flee the country. Negash’s escape took him first to Uganda and then Sweden, where he gained asylum in 2012. The timing was fortunate. 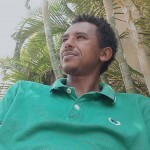 He, along with five other Ethiopian journalists, were convicted in absentia by an Ethiopian court of aiding terrorism in June 2012, and Negash was sentenced to eight years in prison. That sentence has kept Negash from returning to his native land. 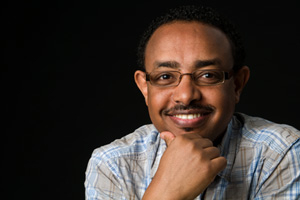 However he and his colleagues managed to continue covering Ethiopia from exile with Addis Neger Online until 2011, and now with the Internet radio station Wazema Radio. Five years after he left the country, Negash spoke with Global Journalist’s Mary Ryan about being accused of terrorism, writing critically about an authoritarian government and the challenges of covering his home country from exile. Global Journalist: What was it like doing journalism in Ethiopia? Negash: Well it is one of the most dangerous professions in Ethiopia: the most risky, the least predictable — particularly if you are covering sensitive political and economic issues…The media landscape, from a political perspective, is a tricky one because you’ll find journalists who are persecuted [for being] very critical and sometimes vocal against the government and imprisoned; at the same time you’ll find another one who’s just left alone but doing pretty much the same thing. So it really lies in the eyes of the authorities, not necessarily about what you say and what you write. In most cases, in my perspective, it’s about the impact you are making in the debates, in the different politics, which would put you in danger. GJ: Was pressure from the government a regular occurrence? Negash: Of course. 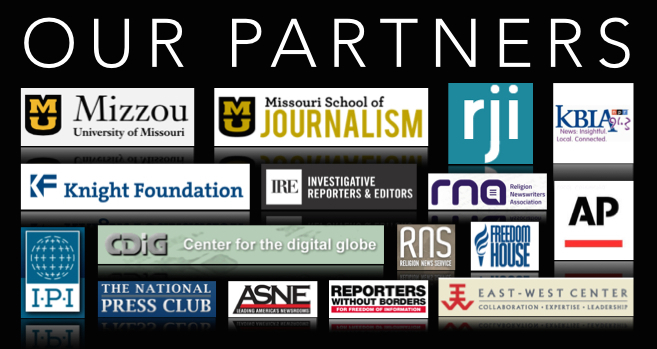 It’s not universal, and the pressure takes different forms… For some people, for example, it’s more confrontation[al]: they arrest some…they charge them, and so on… For the majority of them, however, it’s more of an indirect [harassment] and the atmosphere is very stifling, which makes doing the business of journalism fairly impossible. So self-censorship is a rule in Ethiopia, it is not an exception. GJ: What led you to consider leaving Ethiopia? Negash: We received very bad news from a very credible source within the government that the government is preparing a case to arrest and to charge us with a grave crime of supporting terrorism, or whatever. So we confirmed that from different sources, and we had to choose between staying in prison for the foreseeable future or leave the country and try to continue our journalism with Addis Neger. GJ: What did it feel like to make the decision to leave your country? 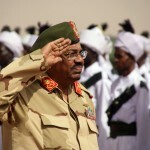 Negash: It is very painful, making that decision. 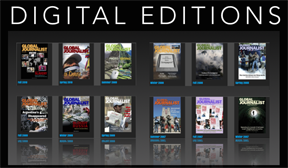 To start with, our newspaper was kind of our child: it was only two years old, it was very successful — very few other independent media outlets made such a big success within two years… So deciding to close this newspaper like, in a way, [was like] deciding to kill your child because there was a lot of hope to make the newspaper bigger, more professional… At a personal level, also it is painful. I mean, we had quite a good life by the Ethiopian standard, so leaving that life and deciding to start life from scratch in exile was very painful. GJ: After you fled Ethiopia, how did you cover the country from overseas with Addis Neger Online? Negash: Well, my experience with my colleagues for the first two years was exciting. We depended highly on our local sources, different sources: some of them were journalists… We heavily relied on their contacts and information they passed to us. So in this sense, it is very difficult. We could not interview the person directly, so we sent the questions and that person, the local contact, would call for the interview… it was difficult but we had all the liberty to say whatever we want in exile, which we never had while we were back home. 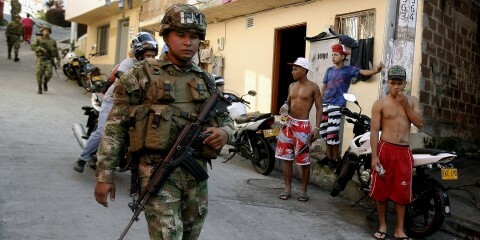 So the experience of covering one’s home country from exile is quite different. I think the biggest gift, the biggest thing you get from exile, is the freedom. GJ: What are you doing now? 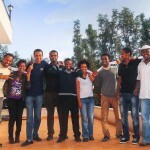 Negash: In my part time I have started an online radio station with my Ethiopian friends. It’s called Wazema Radio… We are not getting any support from anyone at this stage, we are covering all the [costs ourselves], and we are contributing to the Ethiopian cyberspace. The Ethiopian cyberspace is very polarized, in most cases, and lacks independent analysis and so on. So we’re trying to provide that multimedia platform. 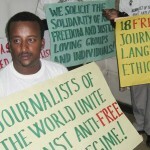 GJ: Do you think the press freedom climate in Ethiopia will improve any time soon? Negash: I don’t think so. There’s not really any press freedom or freedom of speech …it is the political situation [that] is shaping by far the state of press freedom in Ethiopia. And the political condition, the repression, continues so far, so I don’t see any significant change in the coming year or years. 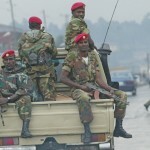 GJ: Do you think you’ll ever be able to return to Ethiopia? Negash: I believe I will be able to return to Ethiopia, but I don’t know when because I’m convicted … it would be only after that conviction is removed that I would return back to Ethiopia. So yes, I will, but I don’t know when.